It is now possible to have a select field in your form pull options from a resource. In this article we'll be giving a walkthrough of how to set this up for your mobile form. 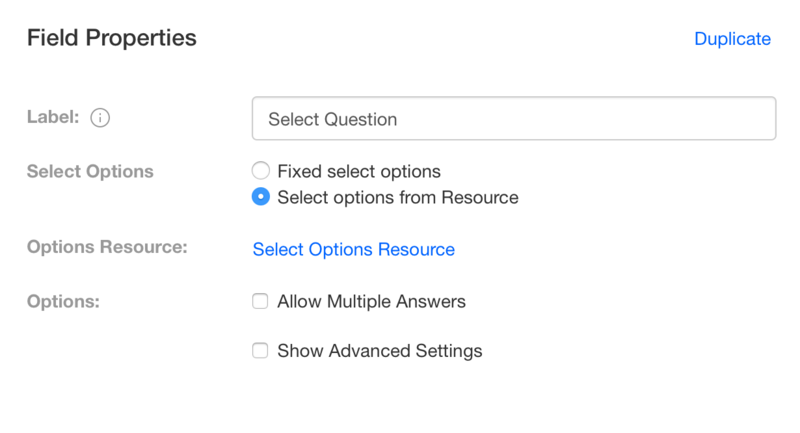 Once you have a resource you can attach it to your Select question in the Designer. 1. 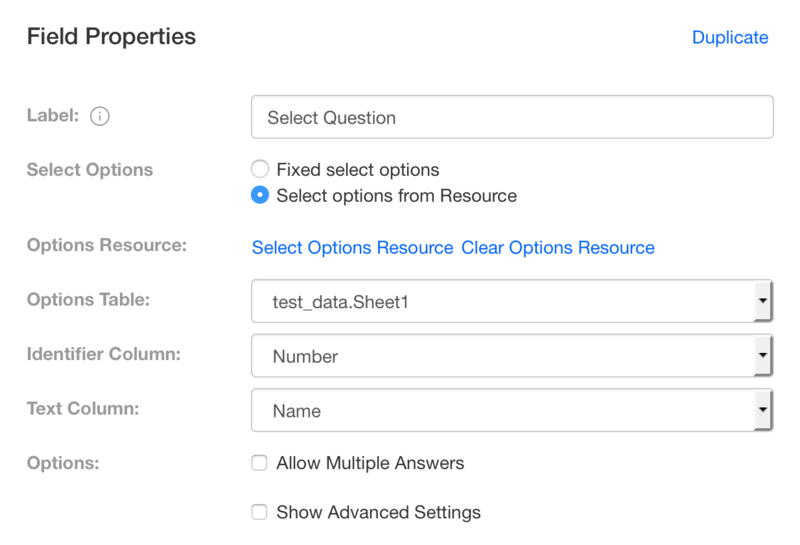 First click on your Select question then select "Select options from Resource" in the Field Properties Box on the right hand side. 2. Next click on "Select Options Resource" and either upload the excel file or select the resource you uploaded previously from the File List. Then save the form, close / refresh the app on your mobile device and you are all done. If you need to make any edits to your select list, just simply edit your resource and this will take effect on all associated forms. This concludes our walkthrough of utilizing a resource in a select question. If you have any questions or comments feel free to send us a message at support@devicemagic.com or leave us a comment below.